My areas of focus are based on and reflect my personal experiences. 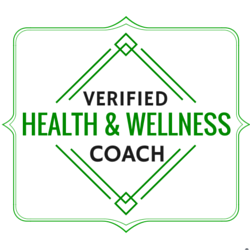 While I am trained to help people with overall wellness issues, I specialize in skin concerns, foreign professionals living in the United States, and people seeking a more balanced lifestyle. Unlike a nutritionist, I will not give you a list of allowed and forbidden foods; we will not focus on micronutrients. I do not take a prescriptive approach; YOU drive the sessions. We will discuss your goals and priorities, specific steps to explore, foods as well as non-food forms of nourishments. As an immigrant and a traveler, I know that for food and lifestyle are among the most challenging things to get used in a new country. How do you reconcile what the best your new home offers with your homeland’s culinary traditions and values? Why are you gaining weight? How do you deal with the availability of food and the pace of life? We’ll develop tailored, practical solutions that work for you. As a strong believer and practitioner of prevention, I see enjoying a balanced, fulfilling lifestyle as insurance policy to reduce the impact of aging and limit the impact of a stressful lifestyles and of all the toxic substances, experiences and emotions we are exposed to daily. Going from healthy to healthier in alignment with your values and preferences will boost your energy, confidence and well-being.